Personalized Medicine 101: A "comprehensivist" role in healthcare: time for a formal medical specialty to manage 'multimorbidity'? 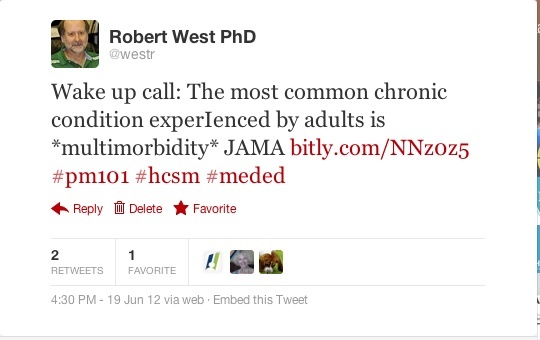 A "comprehensivist" role in healthcare: time for a formal medical specialty to manage 'multimorbidity'? Yet with increasing frequency, a greater proportion of the human population experiences multiple chronic conditions, with all of its concomitant healthcare exacerbations (see article). Add to that the fact that we spend almost one out of every five dollars of our GDP on healthcare and you've got the makings of a royal societal mess. I've been following a number of distinct disease communities on Twitter, many of which are frequented by tweeps having two or more chronic conditions that must be managed simultaneously, and members of the #Rheum community are a good example (e.g. rheumatoid arthritis plus Sjorgrens disease). I myself have more than a single chronic health condition, which requires the skill of Nick Walenda to negotiate. "When a single disease dominates a patient's health problems, a specialist may be the optimal primary decision maker8 (eg, an oncologist is the logical primary decision maker for patients with cancer undergoing aggressive cancer therapy). Most often, a generalist with expertise and experience in caring for complex patients with multiple chronic conditions may be best equipped to supervise care that requires integrating across all conditions within the context of each patient's health goals and priorities." "The term generalist fails to capture the breadth of skills and expertise required. 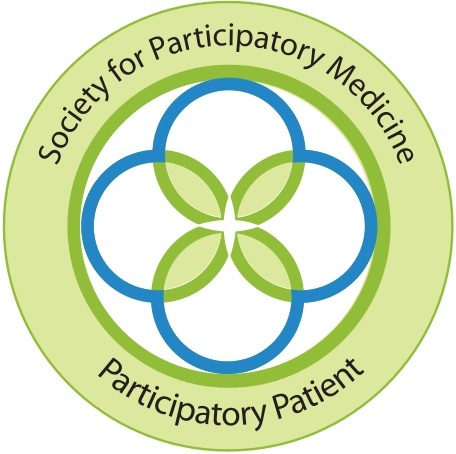 A term such as comprehensivist, which better conveys the nature of caring for patients with multiple chronic conditions, is needed." As my colleagues and I at Upstate Medical University proceed with curricular change to bring our medical education system into alignment with 21st century knowledge and tools (see, for example, previous posts here and here), this might be a good time to ask, "is their a compelling case for 'comprehensivist' as a new, formal medical specialty in 21st century clinical care?" The focus of a comprehesivist would be to master connections among all other specialties and disease systems. In molecular terms, this has become called "network medicine" (more on this topic later). Equipped with a firm understanding of genomics as well as pharmacogenomics, plus specialty training with "Watson, IBM's hot new outboard brain", you'd have the makings of a 21st century Marcus Welby, MD. Indeed, this might be the type of doctor every undergrad pre-med aspires to, and the type of doc that patients relate to most. It might ultimately replace the now under-appreciated primary care physician. It might even be assumed that a comprehensivist would be the most specialized of all specialties, and thus command the greatest respect and compensation of all medical specialties. What say you? Should we start training budding docs now for a comprehensivist specialty? Are patients themselves ready for such an approach? Robert, this is a great question. In the old days, I suppose it was assumed that the generalist did exactly what you are describing. For instance, when I started my career as a pediatric intensivist, I really saw a sizable portion of my role as "keeping the organ-system based subspecialists from killing the patients" since one would want to give more fluid and the other would want to withhold it or administer a diuretic (water pill). The generalists in some communities do a better job than in others at managing their patients with multiple simultaneous conditions. Whereas one internist might feel comfortable to manage my chest pain, my joint pains and headaches, another might feel that such symptoms require the input of a cardiologist, neurologist and a rheum. Rubbish! The generalist must take ownership of the problems of his or her patients, and must be able to coordinate the input of various subspecialists, while keeping the patient's needs first and foremost. Otherwise, the generalist has no role. Ten years from now, healthy people will likely never see a physician. Most well-person care will be performed very well by advanced practice nurses or physician assistants. We docs have got to take responsibility for our patients and not run away when the problems get complex and time-consuming. Thanks for your comments, Alice. Precisely my point about "Ten years from now, healthy people will likely never see a physician ... (but) by advanced practice nurses or physician assistants." Such individuals, while likely very qualified (most I've encountered are), will not fit the bill of the "comprehensivist" I'm envisioning, which is more like a ultra "super-doc".